This introductory course is designed to teach defensive pistol shooting to beginners and to those who had never received formal training. This class will educate students on the basic firearms safety, firearms law, use of force doctrine, fundamentals of semi-automatic handgun operation and develop their basic marksman skills. Pistol-I module is now a 16 hour program divided into two (2) 8 hour courses- Pistol-I(a) & Pistol-I(b). Pistol-II is divided into 4 basic phases (A, B, C & D). Each phase will teach students on the handgun fundamentals essentials and advanced technique needed for law enforcement and personal/home defense applications. Courses will review and expand on aspects of safety on and off the range, combat mind set, the 7 elements of handgun marksmanship, and the 5 elements of the "Modern Technique of the Pistol". This course will cover advanced handgun techniques requiring a higher skill level to participate and to maintain a safe range. Students will drill on all the aspects of high-speed weapon manipulation with one and/or two hand operation at ranges from extreme close quarters to long distance shooting. Scenario will be provided to students for problem solving. Safe Start is a response to the public’s need for a firearm orientation program for new shooters. This 3 hour introductory course is for the individual who is unfamiliar with firearms procedures or who needs to develop safe firearm-handling skills and a solid foundation of basic shooting skills. This class is designed for those who had received prior formal firearms training. The emphasis is on disciplined firearms' safety, moral and legal aspects of firearms use & concealed carry, aggressive weapons handling and focused shooting fundamentals. 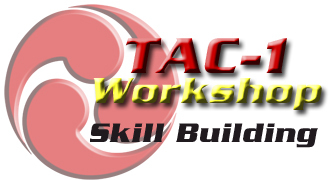 Pistol Training Workshop is an unique class designed as a skill builder for those who had previously taken TAC-1 Pistol-I module or equivalent. The 4 hr. handgun workshop will review techniques that were already instructed in prior courses.